LAKEWOOD, NJ- Following in his father's footsteps is precisely the route that Lakewood BlueClaws manager Shawn Williams is taking these days. Shawn is the son of former Phillies coach Jimy Williams, who had a brief playing career prior to turning to the coaching ranks and managing in the big leagues with Toronto, Boston and Houston. 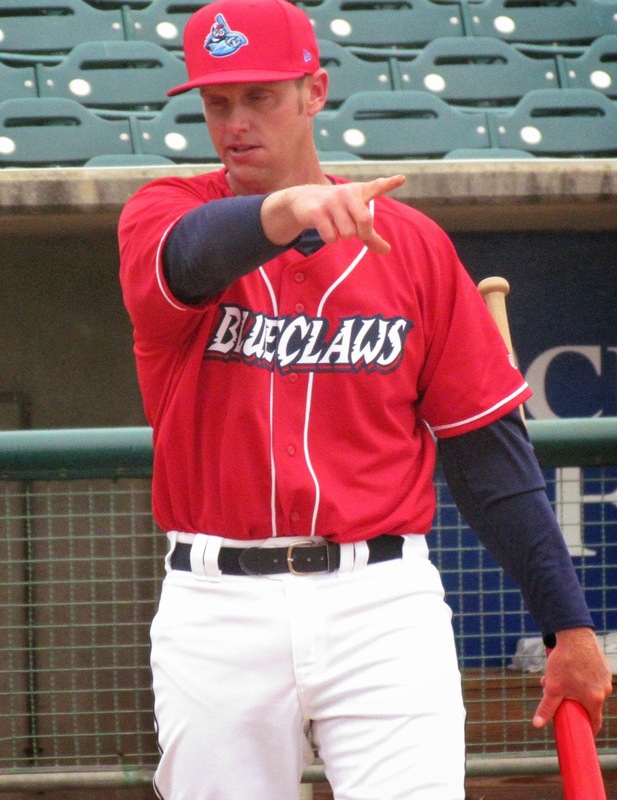 After taking the step from coaching to managing the short-season Class A Williamsport Crosscutters last season, Williams was promoted to take the reigns of the full-season A level BlueClaws for the 2015 campaign. "They came to me with the managerial position last year in Williamsport, which was awesome to be asked to do that at a younger age. I'm just learning everyday and trying to get better," the 31-year-old Williams said during a recent interview. Williams' older brother Brady is also a minor league skipper, at the helm of the Double-A Montgomery Biscuits (Rays). The learning process is a daily one for Williams, who is regularly in touch with his father and his brother in an effort to improve as the guy in charge of the Phillies organization's future stars. "They're great for me to learn from, day in and day out," Williams stated. "I talk to them daily, both of them. They're teaching me things, I'm asking questions." A key to learning the game as a youth was the inside exposure Williams got by being close to his father while he was coaching at the big league level. "Growing up around the game and being around major league players, especially when I was younger, getting to learn from them, how to go through a daily routine and what's expected and to see how my dad worked. I just try to be like him, the best I can be," Williams asserted with an expression of admiration for his dad. As a player, Williams was a fair performer, batting .283 with 17 home runs and 183 RBI over seven seasons in affiliated and independent minor league ball, but the Phillies saw his highest ceiling around the diamond as a coach. The Phils invited Williams, at the age of 29, to take off the spikes and begin teaching the game to their prospects. "When they asked me to start doing it, I couldn't turn it down, even though I felt like I still could have been playing some more. This was an opportunity with a great organization that I was looking forward to and it's been great being with them. A lot of great people to learn from and it's been outstanding so far," Williams stated. With Williams much closer in age than a great majority of other coaches, BlueClaws players, who mainly range from 19 to 23 years old, find it easier to bond with their manager. A strong desire to develop his teacher skill set and his eagerness to help develop each of his players helps the skipper, who reads the baseball rule book during team bus trips, build a rapport with his players. "I love playing for him," said slugging first baseman Rhys Hoskins. "I definitely think he's a players' coach and the fact that he's recently removed from the game as a player really helps us connect with him as a coach and as a person. He gets it. He knows what we're going through and he knows the game. He loves the game. He eats, sleeps, breathes the game." Williams took over for Greg Legg, who managed and coached in Lakewood for a majority of the past decade. Legg was promoted to manage Class A Advanced Clearwater in the Florida State League. The BlueClaws will continue their season-opening home stand on Monday when they host the Greensboro Grasshoppers for a three-game set at FirstEnergy Park. Game time Monday and Tuesday is 6:35 PM with Wednesday's series finale slated at 11:05 AM. This article originally appeared on ShoreSportsNetwork.com.